The young men move about the muddied hillside engaging in a friendly afternoon game of that national pastime known as hurling. On their way home, they are accosted by a platoon of "Black and Tans," the occupying soldiers sent from England to stamp out the crackling embers of Irish independence. The place is County Cork, circa 1920, six years after the Defence of the Realm Act banned "public meetings" deemed threatening to British national security. The soldiers demand to know the young men's names, and when one stubborn boy refuses to say his in English instead of Gaelic, he pays for that decision with his life. 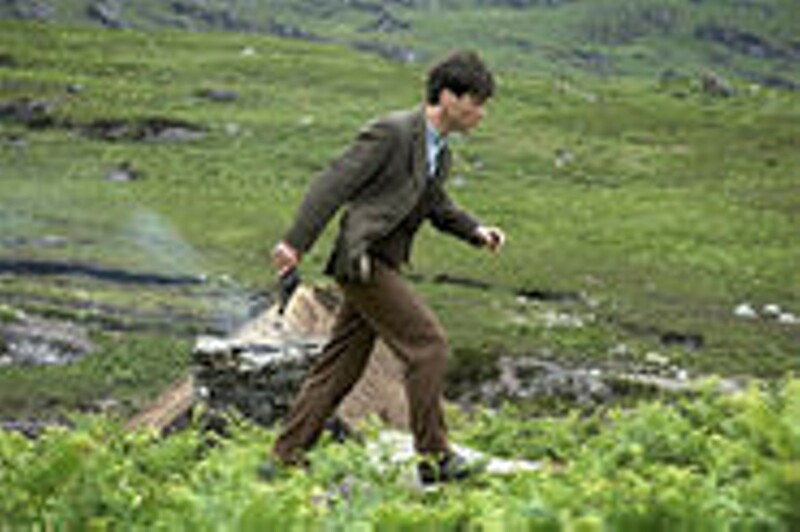 This bone-chilling opening sets the tone for much of what follows in Ken Loach's The Wind That Shakes the Barley, which traces the Irish independence movement from the dawn of IRA guerrilla attacks in the summer of 1920 through to the controversial December, 1921 signing of the Anglo-Irish peace treaty (which granted Ireland significant freedom while keeping it as a dominion of the British Empire). That senseless act of violence is also the moment at which a bright medical student named Damien O'Donovan (Cillian Murphy) resolves to forgo his planned London internship to stay behind and fight alongside his brother, Teddy (Padraic Delaney), in what he believes is a just battle. In short order, the very same lads we witnessed playing sport under the film's opening titles are being trained in tactics of stealth and marksmanship on those very same hillsides, their hurleys converted into prop weapons soon to be replaced by the real things. The fight for a free Ireland has begun. In a way, The Wind That Shakes the Barley supplies the second end of a conversation started by Loach's excellent 1995 Spanish Civil War drama Land and Freedom, the greatest scene of which documented the residents of a village that had only recently been liberated from the Francoists having at each other over the pros and cons of land collectivization. That moment is echoed here in a comic yet pointed courtroom exchange between a wealthy lender and an old widow in arrears on her debt  the court sides with the widow much to the chagrin of the IRA, who need the lender's money to buy weapons. Only here, that which cannot be resolved by words is most often settled with violence. Like Jean-Pierre Melville's recently rediscovered Army of Shadows, The Wind That Shakes the Barley possesses the soul of an anti-war movie and the style of a thriller, with charcoal figures moving hurriedly against a darkened landscape periodically illuminated by bursts of gunfire. It is a tension perfectly embodied in Murphy's soulful characterization of a man who has dedicated his life to saving others but who kills in the name of his beliefs, until he finds himself impossibly torn between two familiesthe one connected by blood and the other by loyalty to an oath. Though it spans just over a year of actual history, The Wind That Shakes the Barley implicitly casts one weary eye back to the failed Irish Republican Brotherhood uprising of 1916 and the other forward to the seven decades of bloodshed that would yet fall upon Irish soil before the arrival of something approximating peace. 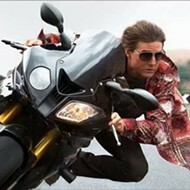 And contrary to the grousing of some British critics, the movie neither amounts to a flag-waving valentine for revolutionary politics nor a knee-jerk condemnation of imperialist empires. It is, rather, a profound consideration of the fog of wars that rage not only between nations but, all too often, within. And it is about how friendsand even brotherswho once fought side by side against a collective oppressor can, in a moment, find themselves stationed on opposite sides of an ideological divide. Indeed, it is hardly by accident that The Wind That Shakes the Barley (which was written by frequent Loach collaborator Paul Laverty) speaks about the seeds of terrorism, about centrism at odds with extremism, and about political interests placed ahead of human ones at a time when such matters continue to weigh heavily upon the global dinner table. 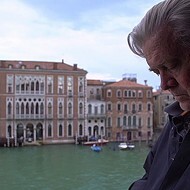 Or, as Loach himself noted when collecting the Palme d'Or for best film at last year's Cannes Film Festival: "Maybe if we tell the truth about the past, we tell the truth about the present."